Three Good Rats: Ready for Ravelympics! 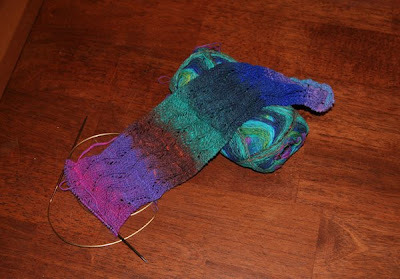 Yes, Noro is hard on the hands. Yes, it has knots. Yes, it has splinters and other bits in it. Still, who gives a crap when it produces results like that? Love those colors!